And the bride wore… PRINT! I love a bold bride – someone who REALLY wants to do something different. Well, that is exactly what we got when we met Becky and Brendan who tied the knot in an informal ceremony on August 28, 2010! From her gorgeous print gown to the cocktail style reception for their 125 guests at the Old Oak Tap in their Ukie Village neighborhood – this bride broke all the rules with her hip style. This just goes to show that a non-traditional event can flow beautifully, and that guests will have a great time celebrating no matter what the format as long as it is well thought out and creative. Thanks to Monica Z Photography for these fantastic images! 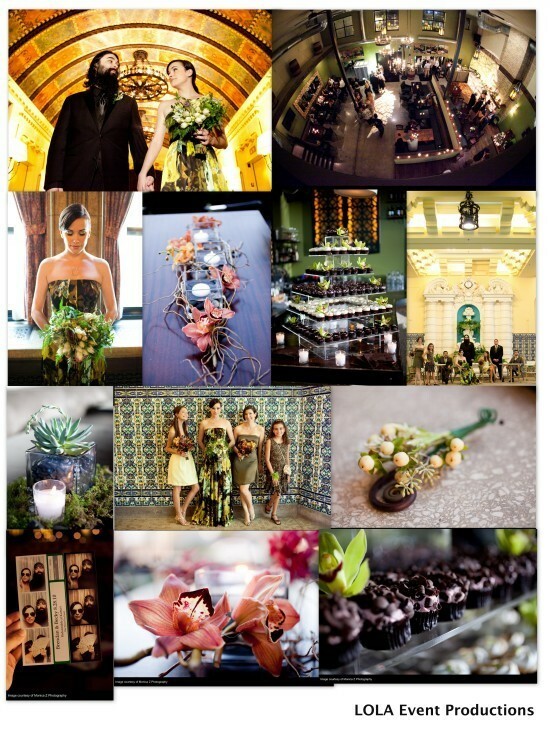 Floral by LOLA Event Productions.